This is the first time I bought a People Magazine. I always just stand there in the book stand of a supermarket or airport or wherever there are books or magazine and read it there or better said look at pictures. 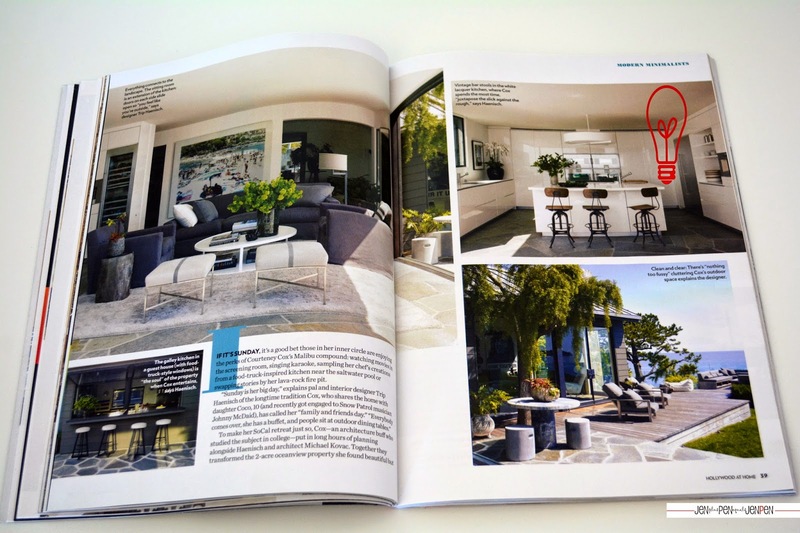 But if it is a magazine or a book about interior design or photography, I'm buying it. So when I saw this special edition of People Magazine of the lovely homes of the Rich & Famous, I took some cash out, bought it and walked to the gate F7 to Curacao. I must say, I'm really loving the outfit of Busy Philips on the cover. Beside the outfit, those large windows, doors and great view from the balcony isn't bad either. And look at this Oh My Wow walk in closet. This closet belongs to Lisa Vanderpump and it's bigger than my home office and bedroom together. The white color of the closet, the windows and the window treatments makes the space even bigger and because there is alot of color from the clothes, shoes and bags, the white color also calms the space down. And who doesn't want to be friends with one of the Friends? Courtney Cox has an amazing style of interior decor in her home. I'm a sucker for vintage pieces and that's why I put a light bulb next to those vintage bar stools. Something vintage always adds value to a space. Again the white color in demand and with the grey hard stoned floor tile it even pops up more. Great space to entertain. 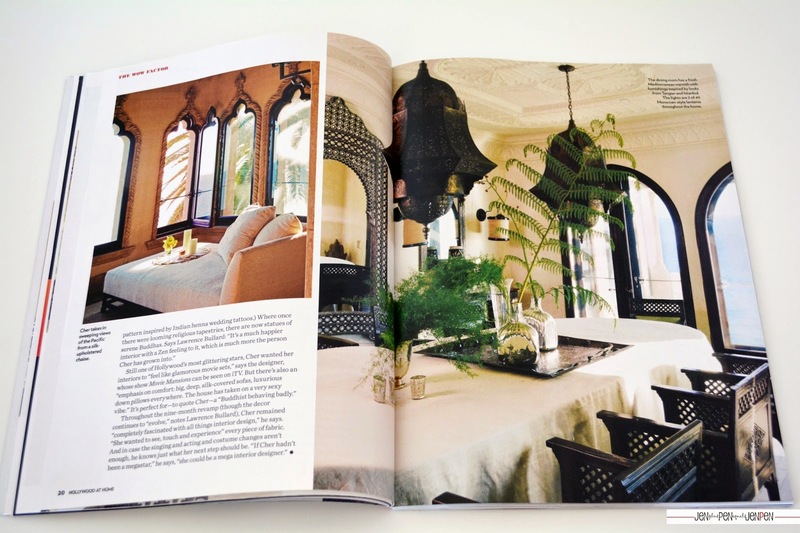 How about these huge Moroccan-style lanterns? These are just 2 of the 40 that Cher has in her home. This home is Mediterranean inspired. As she said herself: "It's Tibetan, Moroccan, Indian Zen. It sounds horrible, but it's unbelievably beautiful". I believe you. 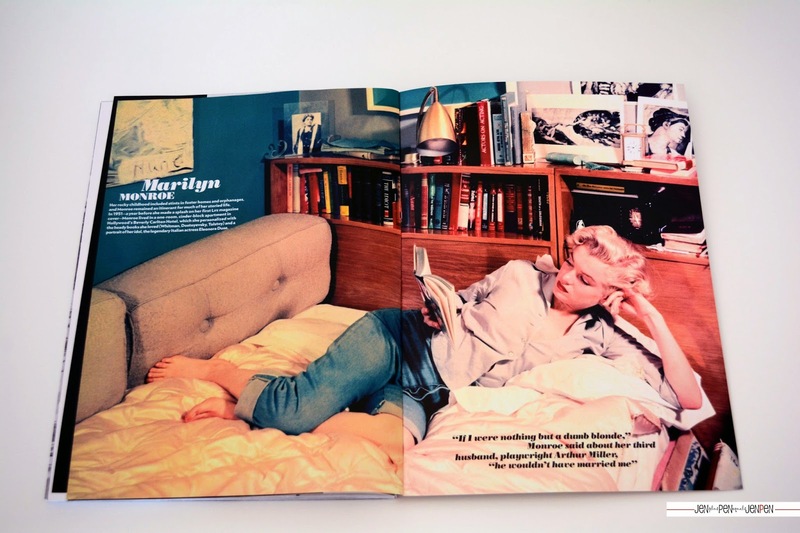 This photo of Miss Monroe reading a book in a sofa bed in her home is just a beautiful photograph. It will be an amazing art print to hang in a room. I love the green-blueish color on the wall. Makes a statement. So there you have it! 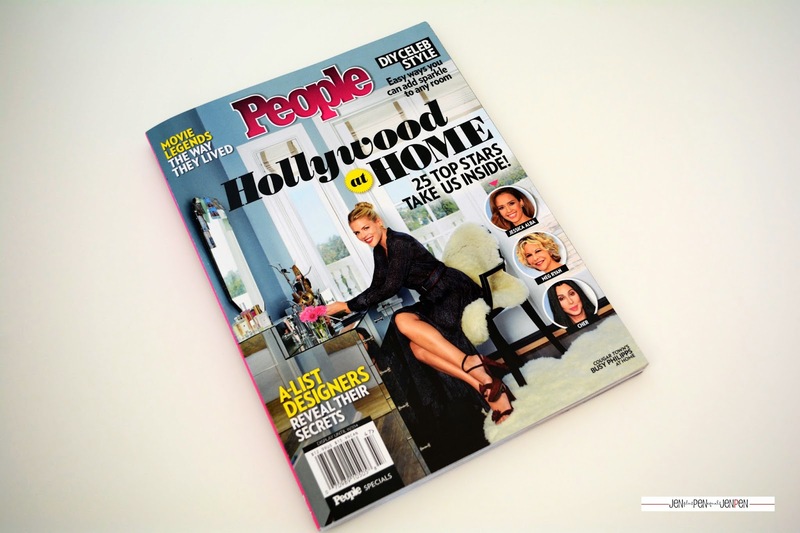 Get your copy of this special issue of People Magazine to look at the other amazing homes of the Rich & Famous.